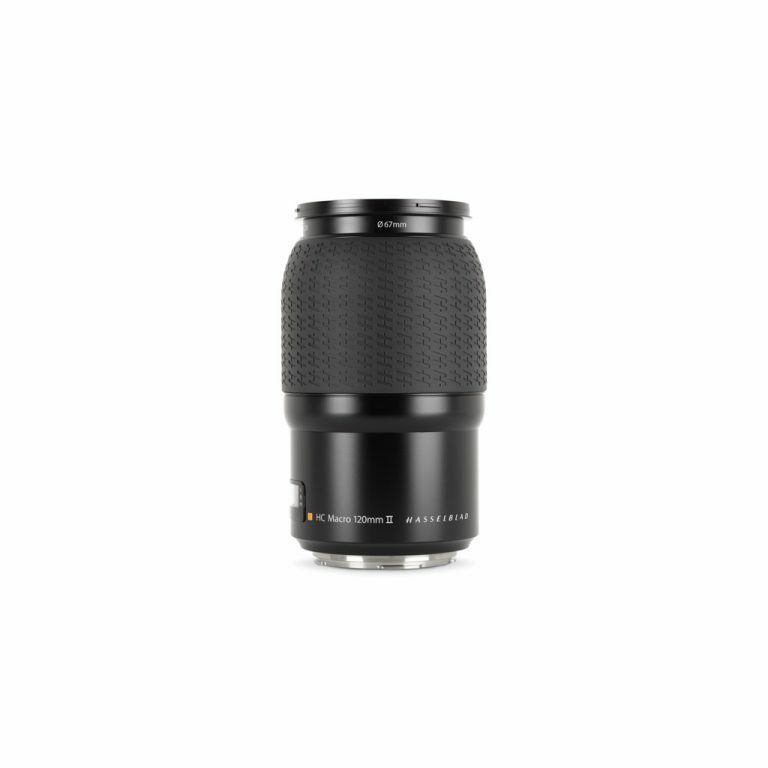 The Cambo ACTUS Actar-60mm Lens is a 60mm standard lens designed for the Cambo Actus series. 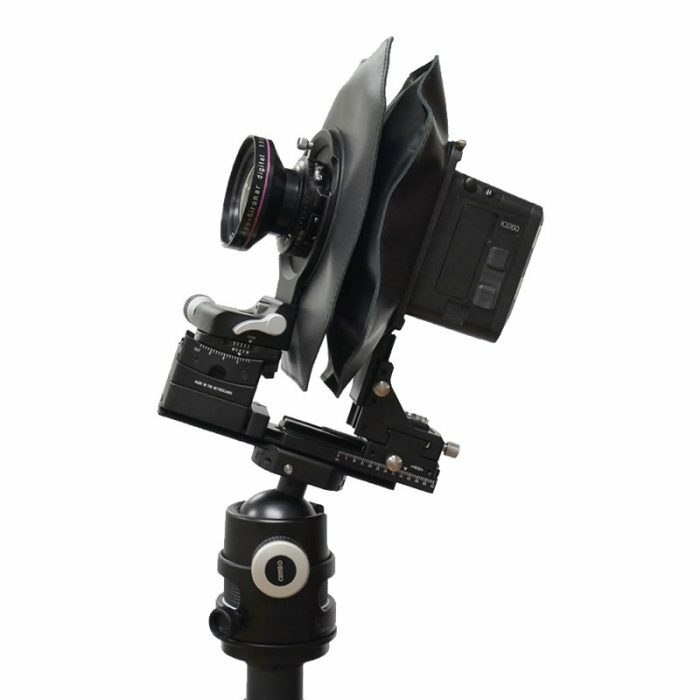 It will focus at infinity in combination with mirrorless camera bodies. 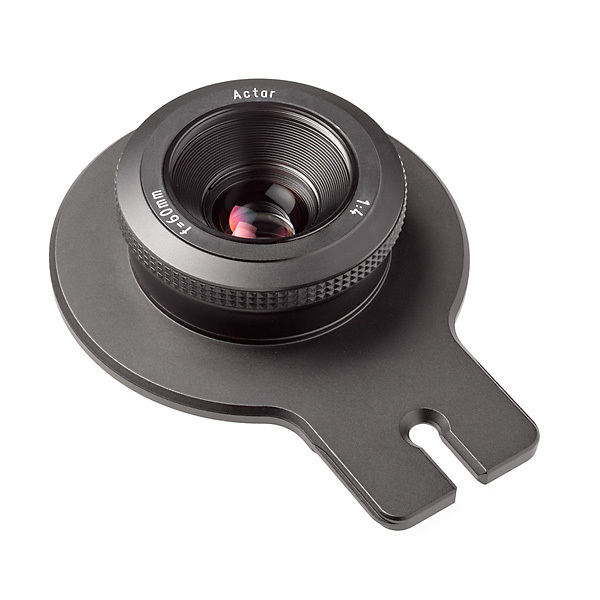 The ACTAR-60 is a lens with no geometrical distortion. 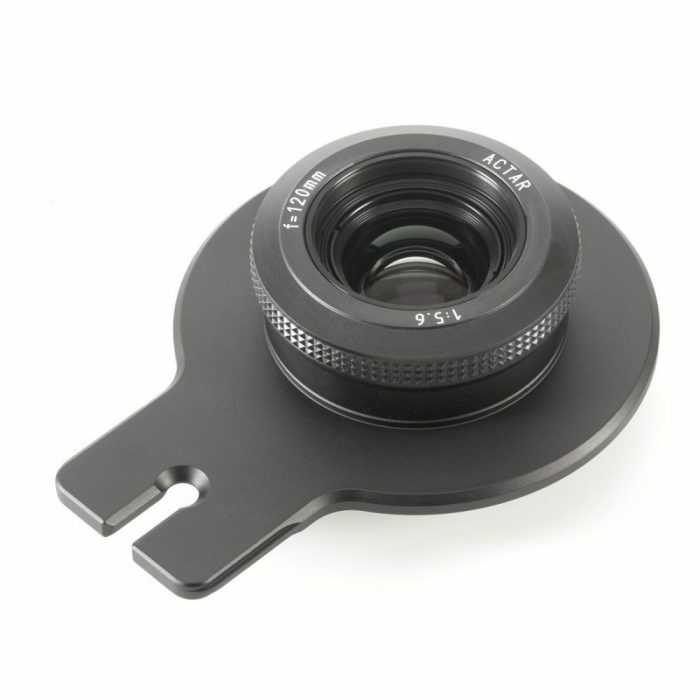 As the image circle is 75mm, there is an optically allowed horizontal shift possible of 15mm each side when using a full frame (24×36) sensor in landscape mode, and 17mm in portrait mode. When using a smaller APS-C sensor the shift possibilities grow to 20mm.